The issue of financial inclusion has been increasingly important in the last few years. It even became one of the G20 agenda items. This proves that how to solve financial inclusion has been in the mind of top leaders and NGOs across the globe. Studies have shown that in the countries where financial inclusion is not a priority; economies tend to be weakening and less stable. The issues of financial inclusion have many things to do with vulnerability and poverty. What does financial inclusion actually mean? Before discussing strategies on how to solve financial inclusion issues, it is important to understand what the term actually means. The World Bank defines that financial inclusion is the state in which individuals and businesses can access financial products and services, which they need, in an affordable and useful way. The financial products and services may include payments, transactions, credit, savings, and insurances. All of these must be accessible in a responsible and sustainable way to all the citizens. The first step toward the financial inclusion is providing access to a transaction account, which allows people to save and send money. Antonym of the financial inclusion is financial exclusion. The World Bank estimated that about 3.8 billion people around the globe are excluded from financial products and services now. It means that they do not have any bank account, no access to credit, no other transactions but cash. Let’s take an example of an Indonesian woman who works in the Middle East. TerraPay enables her to send as low as $100 to her family in Indonesia in an instant way. 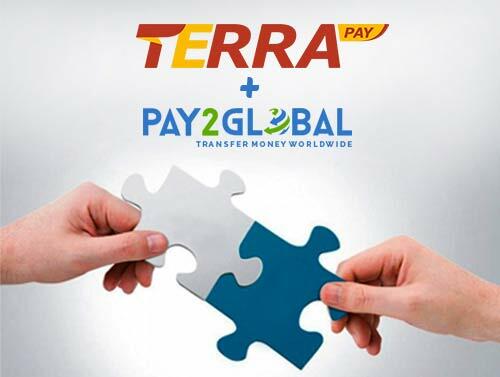 What makes TerraPay different is that it works even though the receiver does not have a bank account. The mobile payment system is an exciting Financial Technology (FinTech). TerraPay now focuses in emerging markets like Indonesia and Africa, where financial exclusion is still high. The good news is that use of mobile technology, including mobile money, grows significantly in its market bases. That is why TerraPay – the mobile wallet platform – works in these markets. Most of the digital payment systems only benefit people with high-value transactions. This is what makes TerraPay different. Users can send little amount of money instantly. Again, this is another strategy on how to solve financial inclusion in emerging markets, where incomes are still low. Ambar Sur claims that TerraPay has made promising progress, but more is needed. The mobile payment system still has many works to do, particularly educating people in emerging markets. Dive more into the financial inclusion issues in the interview with the CEO of TerraPay in the next post!